Story by Asia Ferrell. Photos from @ftp_titans (Instagram). 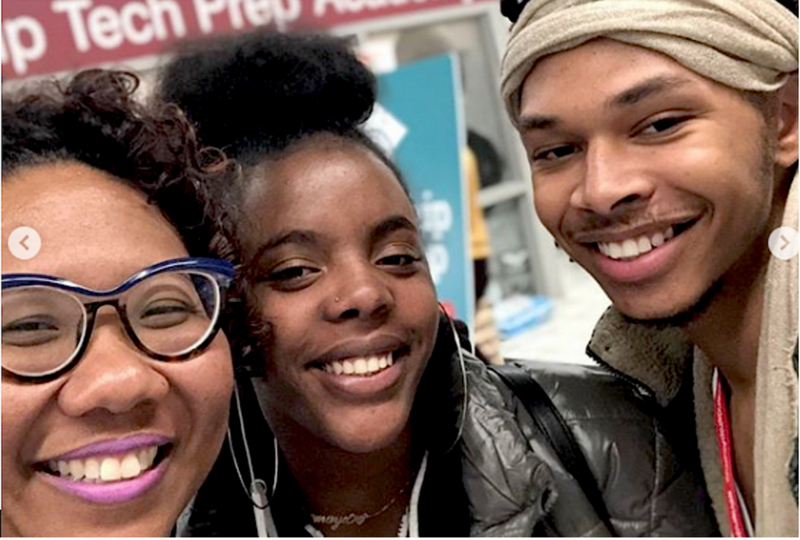 JAN. 24, 2019: On December 20, 2018, Friendship Technology Preparatory Academy had its third Annual Alumni Day when alumni from Tech Prep who may have graduated or still be in college came back to Tech Prep to speak on their college experiences. Many alumni talked to the students about how college works and how fast you become an adult. Alumni Kaitlyn Weir talked about how she applied to colleges she wanted to attend and how her first day of college went. Kaitlyn talked about how different it is to be walking into a college dorm as opposed to the apartment she lived in her whole life. She continued to express how she had to first adjust to the entire college setting which didn’t take to long for her. Tech Prep students rotated to different classrooms and asked questions about college and what to expect. That same day we had a mini college fair to give us more information about the colleges that we may be interested in attending which included a panel discussion. I learned that college isn't for everyone. One of the colleges I want to attend is Miami University or a college somewhere in Atlanta because I’ve always wanted to live in those places. I’ve always wanted to live in Miami or Atlanta because of the weather and because they are both completely different from DC. Alumni Day was very beneficial to me because I heard college students who attended Tech Prep give the whole spiel about the difference between high school and college. This was a very cool experience because I knew a few of the alumni who graduated last year and seeing them as freshmen all over again was really interesting.